Manchester United great Paul Scholes returned to action for his local non-league team on Saturday – but he was unable to prevent Royton Town from losing 1-0 to Stockport Georgians. Inspector Daniel Ojo who shot dead one Adaobi Ifeanyi and wounded another, Emmanuel Akomafuwa, in Ajegunle area of Lagos last Saturday, has been dismissed from service and declared wanted. Armed bandits have sacked Kuriga village in Chikun Local Government Area of Kaduna State forcing the villagers to flee. Justice Walter Onnoghen, the suspended Chief Justice of Nigeria, who was Thursday convicted on six counts bordering on false declaration of his assets, removed from office and barred from holding public office for ten years by the Code of Conduct Tribunal (CCT), has appealed the judgment of the court at the Court of Appeal. Two suspects allegedly involved in the recent kidnap of Lagos State Fire Service Director, Mr. Rasaki Musibau, and six others, had confessed collecting N5m ransom before releasing them. 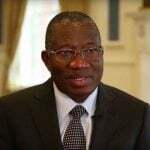 Former President Goodluck Jonathan has urged Nigerians not to give up on the nation in the face of unabating violence and misery, stressing that Nigeria has all it takes to overcome its challenges. 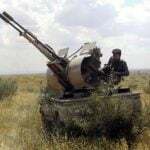 At least 174 people have been killed and 758 wounded in the battle for control over the Libyan capital Tripoli, the World Health Organization said Tuesday. 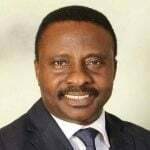 Following the persistent attacks and killing of innocent Nigerians across the country, the President of Christian Association of Nigeria (CAN), Samson Ayokunle, has charged the federal government to tackle the spate of insecurity in the country, which has lead to numerous deaths in recent years. 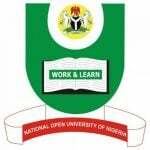 The National Open University of Nigeria (NOUN) has unveiled the university’s newly redesigned Olusegun Obasanjo Centre for African Studies (OOCAS). 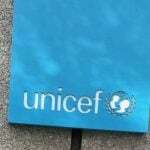 In view of growing outbreaks of vaccine-preventable diseases, the United Nations Children’s Fund (UNICEF) says it will inaugurate a new global campaign from April 24 to 30. 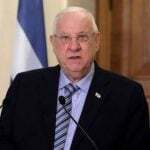 Israeli President Reuven Rivlin began a series of meetings Monday with representatives of political parties voted into parliament in last week’s elections ahead of choosing who will form the next government.